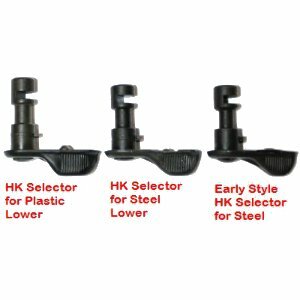 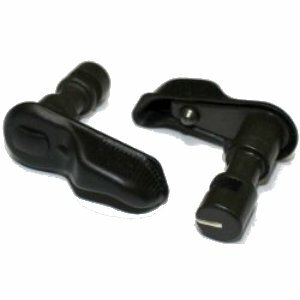 HK selector lever for plastic grip frames new. 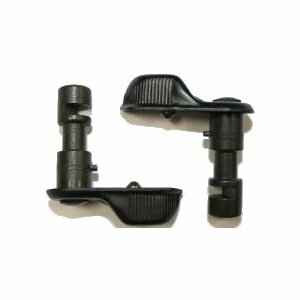 Will fit all SEF style semi-auto and full-auto trigger boxes using a plastic lower/grip-frame. 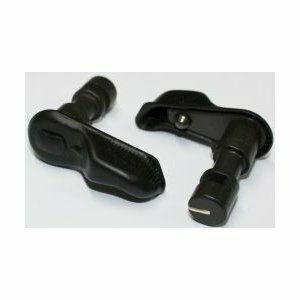 This is the long axis selector for all plastic grip frames using single sided selectors. New / unissued condition made by HK in Germany.